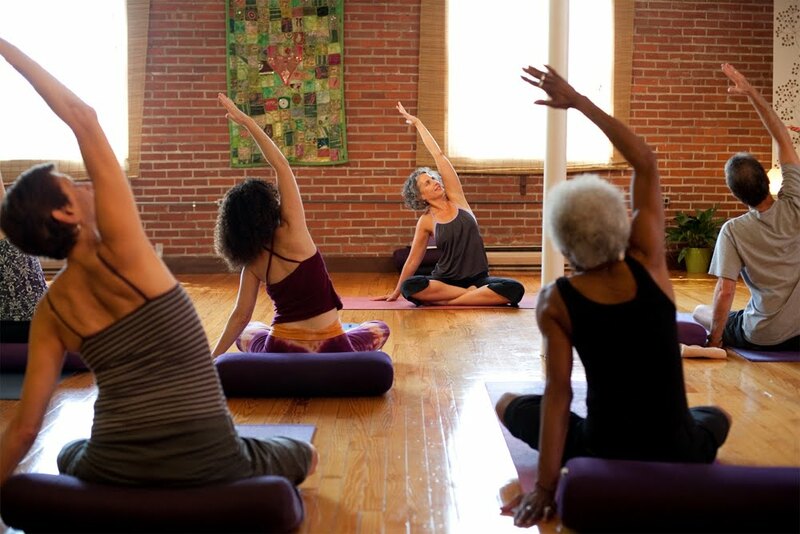 A Yellow Springs Blog: Yoga Springs celebrates 7th with "Free Yoga Day"
Yoga Springs Studio is celebrating their Seventh Anniversary. They are offering a Free Day of Yoga, Saturday, March 5, 2011, to thank their students and welcome new ones. Two classes will be held every hour on the hour starting at 9am. Between classes enjoy a cup of tea, birthday cake and conversation. Come celebrate yoga style! Yoga Springs Studio is a sacred space for growth, sharing and community located in the healing village of Yellow Springs, Ohio . They have two beautiful classrooms filled with natural light, hardwood floors, and equipped with yoga props, a lounge for students to gather before and after class and yoga boutique. Their experienced teachers offer classes and workshops for all levels in a variety of traditions. Yoga Springs Studio offers over 20 classes a week ranging from Beginner to intermediate. The experienced instructors have diverse backgrounds and training, which allows for a variety of classes. They are a Registered Yoga School and offer 200-hour teacher training program and host Master Teachers. Yoga Springs Studio was recently featured in the Dayton Daily News Healthy Living section and live on FOX 45 TV highlighting the benefits of Couples Yoga. "I’ll give up my cable TV before I give up yoga classes." "Yoga Springs Studio is a beautiful, serene space that is just the right size - not too big and not too cramped. I enjoy the small classes and an overall friendly, calming and inviting environment at the studio." "Yoga calmed my mind and made my body strong and flexible. Physically I am more fit than ever in my life, and my mind is calmer." "The space is clean and bright, all the teachers are welcoming and friendly." "Yoga Springs Studio is warm, inviting and peaceful. The class options are developed for all kinds of lifestyles and work/family obligations. I will continue my life long practice at Yoga Springs; a community of yogis that are welcoming and accepting of all levels."